Children moving up into and/or entering our Form 3 adapt to the longer school day as well as learning the art of tying a school tie for the first time! 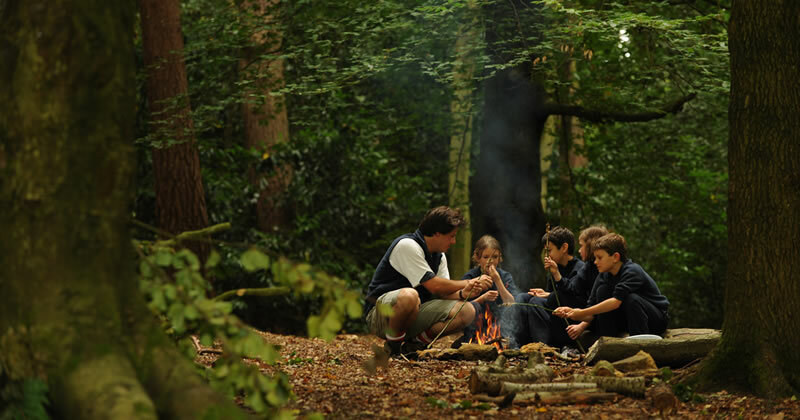 With focus very much on broadening the children’s understanding of the world, encouraging them to foster a positive attitude to learning and helping them in their ability to think for themselves, our Form 3 and 4 children benefit from the introduction of specialist teaching in subjects including DT, Art and Drama, as well as experiencing team games and competitive sport matches for the first time. Our highly successful "Learning Outside the Classroom" initiative plays a key part in Form 3 and Form 4’s curriculum. Education is more than the acquisition of knowledge; it is about improving young people’s skills, values and personal development. Our Learning Outside the Classroom timetable significantly enhances the children’s ability to learn and achieve as well as increasing motivation and inspiration. As you can imagine, St. Ed’s 40 acres lends itself perfectly to the long list of fun and sometimes quirky activities adopted by the LOTC team.